1. Your bag is bigger than mine. My bag is (　)(　) yours. My bag is (　)(　)(　)(　)(　). 2. Masao is the tallest boy in his class. 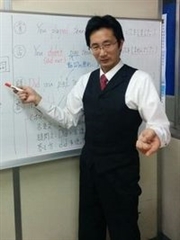 Masao is taller (　)(　)(　)(　) in his class. No (　)(　)(　)(　)(　) is (　)(　) as Masao. Your bag is bigger than mine.